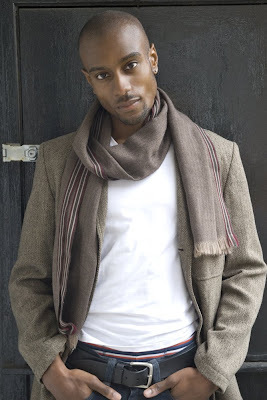 Talented actor Michael Obiora is one of the leading cast members of BBC TV series, Hotel Babylon in which he plays the camp and charismatic hotel worker, Ben. I haven’t seen the show in a while, but always enjoyed watching Ben’s performances. To me his character was funny, daring, and a refreshing change from the archetypal drug-dealing, gun toting roles that keeps Britain’s Black male acting population in employment via TV programmes like The Bill. I’ve since seen Michael as a guest on various shows appearing as himself and he seems incredibly insightful and intelligent. On August 8th he will be releasing his debut novel ‘Black Shoes’ published by Matador books. The book is about a young, black successful Property Developer who is constantly reminded of the stereotypes assigned to his race. 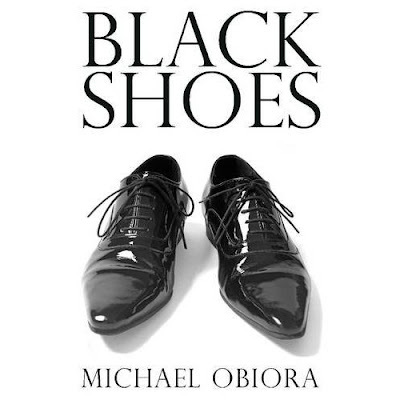 The press release reads: "Through the exploration of love, friendship, paranoia and ignorance, Black Shoes looks at a professional man's quest to find his way through the maze of negative stereotypes, and his own personal battle with his identity." Mmm, sounds interesting. This does sound interesting. Thanks. I saw him on The Wright Stuff last wee and he came across as very intelligent. confident and charismatic. I cannot believe he is only in his 20s. He was talking about his book on the show and it does sound interesting. I also thought he was sort of funny in EastEnders if not a bit clique. I didn't see him in Eastenders, who did he play? Like the sound of this, addresses the issue of sterotypes which is always a good thing in my book. He was Chelsea's bf in EastEnders -the footballer who offered her drugs...exactly!